The progressively widening and deepening bloodbath in Zamfara State is made even worse by at least three narrative conspiracies that mask the real extent of the heartrending humanitarian disaster the people there are contending with. The first narrative conspiracy is a media one. The institutional news media in Nigeria lack ready-made, stereotypical mental representations with which to frame the conflict, so they either avoid reporting it altogether or minimize its horrors if they report it at all. The news media thrive on Manichean binaries, conflictual differences, and sensation. The Zamfara mass slaughters don’t lend themselves to that. It would have made a "better copy” if the murderers in Zamfara were from a different ethnic and religious group from their victims. Imagine a headline like, “Igbo Christian militia kill 200 Zamfara villagers” or “Tiv yam farmers invade Zamfara village, kill hundreds, including district head.” Sure, the headlines would be guilty of sensationalizing and exploiting difference, but they are sadly the only kinds of headlines people are drawn to. It’s easy to feel righteous indignation toward journalists for exploiting difference as a schema for framing news events, but the truth is that news stories are both texts to be read and commodities to be sold. They won’t sell if they are bland, predictable, and unexciting. Plus, we have been socialized to expect news to be displacement of routine. In Zamfara, the villains and the victims share common primordial identities—or so the news media think. Nevertheless, it is the same set of people that the news media have (mis)characterized as “Fulani herdsmen” when they slaughter farmers in the Middle Belt and in the South that they simply call “bandits” when they murder men, women, and children in Zamfara. A headline like “Fulani herdsmen kill farmers in Zamfara” won’t excite passions and might even be dismissed as counterintuitive in some parts of Nigeria since Zamfara farmers are a mix of Hausa, Fulani, and Hausa-Fulani people. A popular Yoruba quip says, “Gambari pa Fulani ko lejo ninu,” which roughly translates as “If a Hausa person kills a Fulani person, there is no case,” implying that the Hausa and the Fulani are indistinguishable and that their internal strife is no outsider’s business. This predisposition has partly informed the reporting on the continuing Zamfara bloodbath. Nevertheless, a far more insidious strain of this attitude is the conspiracy of silence by the direct and indirect victims of the violence. 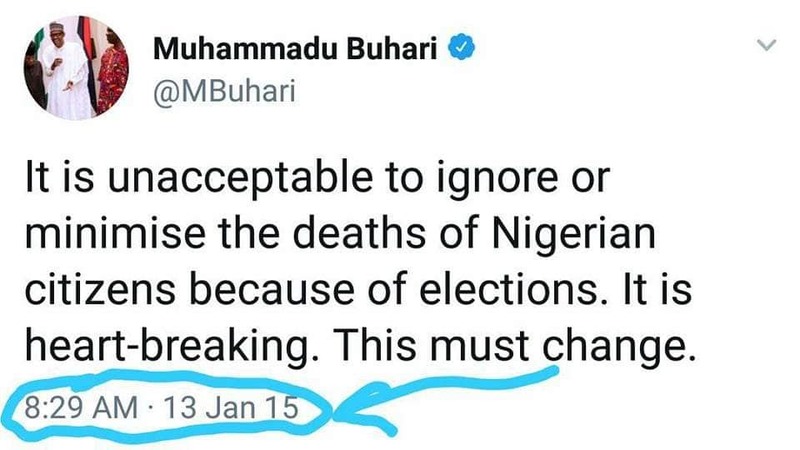 Several people in Zamfara actively work to suppress news of the mass murders of innocent farmers because they reckon that publication of such tragedies will lengthen Buhari’s catalogue of failures, weaken his estimation in the country, and make him “look bad.” As incredulous as it sounds, people actually fast and pray in the North so that news of mass massacres don’t make it to the news media because of their “love” for Buhari! In fact, everyday folks who share news and photos of mass slaughters of men, women and children in Zamfara on social media have been threatened by unpaid, unappointed defenders of Buhari in the state. Scores of people from Zamfara inbox me periodically on Facebook and entreat me to help publicize incidents of mass slaughters that have been kept away from the media. I have taken a personal decision not to allow people who are too cowardly to come out in the open to tell the truth about the tragedies that happen in their communities to ride on my coattails. In any case, defenders of the government will always question my locational bona fides to impeach the credibility of such stories. 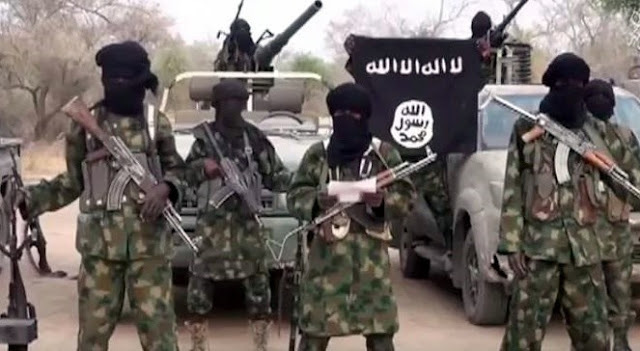 It is precisely the same scenario that is playing out in Borno and Yobe states. The vocal minority in these states are so hypnotized by their “love” for Buhari that they cover up Boko Haram attacks, threaten people who publicize them, and lie to the world that everything has been hunky-dory since Buhari became president. There is no precedent for this depth of mass stupidity in Nigeria. When people who are the direct victims of an unending sanguinary fury don’t want anyone to acknowledge their pain because of their misguided “love” for a president who swore to protect them but who is either unwilling or unable to do so, others can’t be blamed for honoring their wishes. An African proverb says the most difficult person to wake up is a fully awake person who is pretending to be asleep. The last narrative conspiracy against the mass murders in Zamfara is government propaganda. The Buhari regime is deeply invested in its mendacious, self-absorbed narrative that it has recorded “tremendous success in the area of security” in spite of glaring evidence to the contrary. So government actively suppresses or minimizes any news that has the potential to give the lie to its claims of success in security. 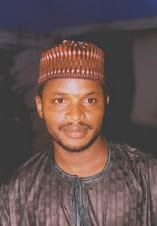 A Premium Times reporter by the name of Nicholas Ibekwe revealed on Twitter recently that a government minister invited journalists in Abuja, bribed them with N1 million each (he said he rejected the bribe) and pleaded with them to suppress news stories about Boko Haram butcheries in their papers. Government certainly also encourages the suppression of news about the Zamfara massacres. Government is so invested in the narrative of its “success” in security that President Buhari regurgitates it like a preprogramed robot even when he is commiserating with people who are mourning the loss of loved ones. 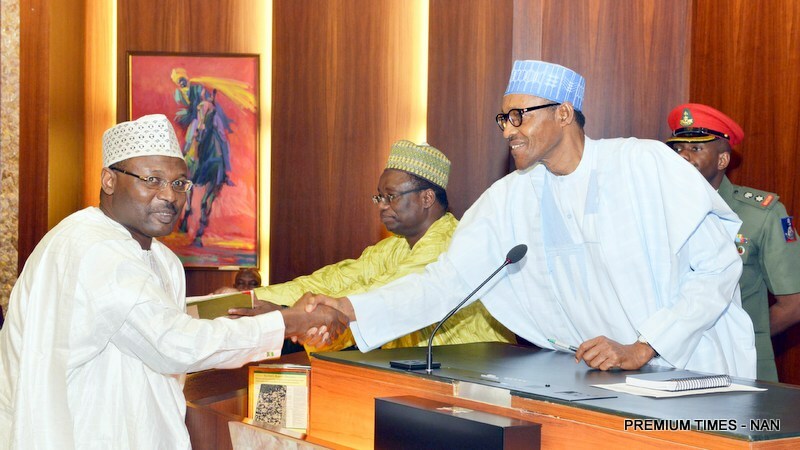 For instance, while on a forced sympathy visit to Taraba State in the aftermath of one of the bloodiest communal upheavals in the state in March 2018, he said, “Today, even our worst enemy can attest to the fact that the APC-led federal government has done well in the area of security.” It was one of the worst examples of a tragic presidential dissociation from reality. Buhari is the ultimate blamer-in-chief. After his election at 73, he blamed his age for his slow start. At 74 and 75, he blamed Goodluck Jonathan and "16 years of PDP misrule" for his awful missteps in governance that precipitated a devastating recession. At 76, he has now shifted the blame to the "system." The man is an expert at shifting cultivation of blames. The "system" forced him to wait six months to appoint ministers and to not replace ministers who resigned or died. It made him wait three years to constitute governing boards of government agencies and to appoint dead people into them. Several are still unfilled as I write this. The “system” made him to not prosecute Babachir David Lawal, “budget padders,” Maina, etc. The “system” made him to unduly delay forwarding Walter Onnoghen’s name to the Senate for confirmation as Chief Justice of Nigeria until VP Osinbajo saved the day while he was away in London. In his July 2009 speech to the Ghanaian Parliament, former US president Barack Obama famously said, “Africa doesn’t need strongmen, it needs strong institutions.” Inspired by my, in retrospect, misplaced optimism in the emergent Buhari administration, I challenged this notion in a May 16, 2015 column. I pointed out that “strong institutions” are not self-generating entities; they require the foresight, intelligence, commitment, and willpower of “strongmen” to bring them forth. “[S]trong institutions don’t come out of thin air; they are built by strong men through the strength of their personal example. I hope Buhari is the strong man who will build strong institutions in Nigeria with the strength of his character,” I wrote. Someone from the Presidential Villa called my attention to what Buhari said in South Africa and added that it was inspired by my column. “Imitation is the sincerest form of flattery,” I said in response. But more than the satisfaction of knowing that the president read my column and was enthused by it enough to let it influence his speech in a foreign country, I was pumped up by the thought that Buhari was truly committed to building institutions and setting the stage for the depersonalization governance through the strength of personal examples. Given his age (which should incline him to be consumed by anxieties about his legacies), the respect he inspired even from people who didn’t like him, the mystique his personality radiated, and perhaps a heightened self-awareness on his part of the disaster of his first incarnation as a military head of state, I thought he really meant what he said when he echoed my column in South Africa. But in the nearly four years that he has been president, he hasn’t only failed to build institutions or institute the basis for rational-legal norms in governance, he is destroying existing ones with a viciousness that is unexampled in our political history. Nothing instantiates this better than the presidency’s recent vulgar attempt to force the National Bureau of Statistics to fudge figures to sanitize the Buhari regime’s fetid, troubling unemployment record. The NBS boss immediately countered the falsehood. “I make it very clear that neither the statistician-general nor NBS ever made any such admission at any time to anybody," NBS boss, Yemi Kale, said on Twitter. The lying honchos of the presidency had egg on their begrimed faces. Now the stats are out, and they are as disconsolate as we've always expected: 20.9 million people are now jobless, up from 17.6 million in the fourth quarter of 2017, representing a 23.1 percent increase. Youth unemployment has also increased exponentially. Since Buhari took over power in 2015, according to the NBS, unemployment has never declined even for a bit. At this rate, a Buhari second term would ensure that nearly 90 percent of Nigerians would be unemployed by the end of his term. 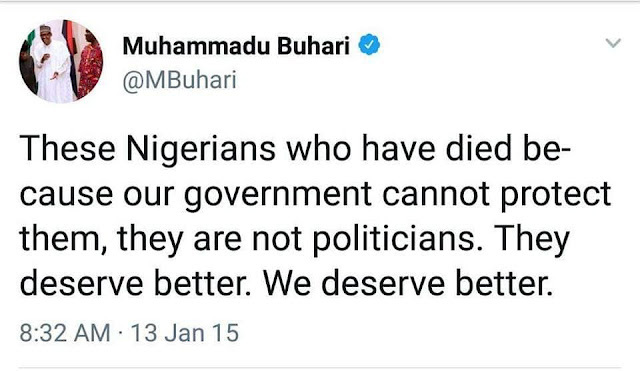 In other words, right from 2015, the Buhari regime has represented nothing but a relentless descent into the abyss of hopelessness and despair for everyday Nigerians. It would only get worse if his incompetence is rewarded with a second term. Hats off to the National Bureau of Statistics for guarding its independence and freezing off attempts by the Buhari regime to bludgeon it into making up false statistics to make the president look good. The NBS is an example of what institutional independence looks like, the kind that Buhari said he would institute when he spoke in South Africa. Institutions that are independent of, resistant to and immune from the wiles and manipulations of the temporary occupants of power not only command respect and credibility but also deepen and sustain faith in governance. When next the bureau releases stats that are favorable to the government (that’s assuming the NBS boss isn’t fired or threatened to give up his independence or his life) they will be believed by a majority of Nigerians, and that’s healthy for the country. Now imagine that the EFCC weren’t the pitiful poodle of the presidency that it is and that the police weren’t the unashamed tormentors of the president’s opponents and protectors of his supporters that they are. Or that the Nigerian military weren’t the unofficial armed wing of any political party in power. Well, that is what obtains in well-governed societies. America is able to weather the storms and strains of its rambunctious stormy petrel of a president precisely because of the strength of its institutions. Donald Trump is a Mobutu-like “strongman” who is only held in check by America’s strong institutions. He is being investigated by a special counsel appointed by the Justice Department, which might bring him down. Can you imagine AGF Abubakar Malami investigating any loyal associate of Buhari let alone Buhari himself? To be fair, this problem preceded Buhari, although his initial enthusiasm about using his “strongmanness” to build strong institutions instigated false hopes in some of us. Nonetheless, Nigerians need to study what it is about the NBS that has made it so admirably independent, that has made it to jealously guard its integrity since at least 2010 when I began to pay attention to it. This oasis of institutional independence in our desolate desert of impunity and personalized power, for me, is cause for hope. Every rational, perceptive observer knows that the Buhari presidency is in a desperate, panic mode now. They are arresting and jailing critics, freezing bank accounts of opponents, bribing journalists silly to buy favorable coverage, threatening media houses, and working to pull down the entire nation because they know their game is up. That’s the general context for the discontinuation of my column in the Daily Trust. As people who have followed my Saturday column know, I am an inconvenient thorn in the flesh of the Buhari regime. I expose their lies, hypocrisy, clannishness, and incompetence with a regularity that unnerves them. 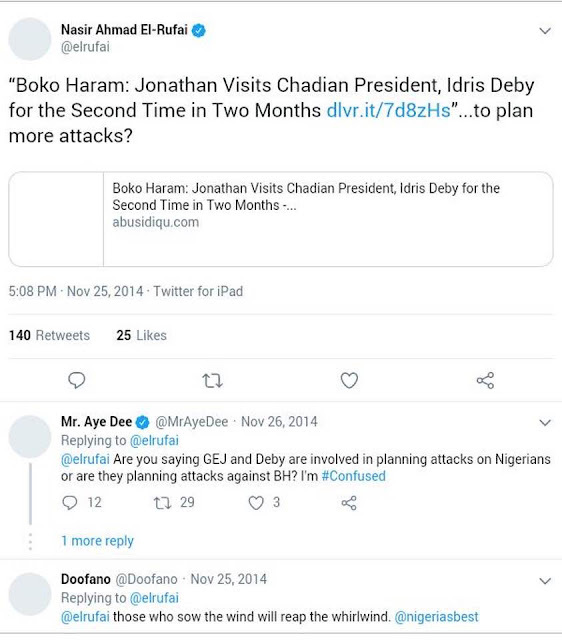 So when Daily Trust’s E-I-C and MD called me on December 13 to say that the “board” had met and decided that my Saturday column should be discontinued because of my critical articles on Buhari (yes, he was that frank), I wasn’t surprised. I saw it coming. He was courteous, respectful, and honest about it, which is admirable. I had been expecting it, given how increasingly desperate and intolerant the Buhari regime has become lately. The regime is using their power of advertising patronage to whip independent media houses into line. 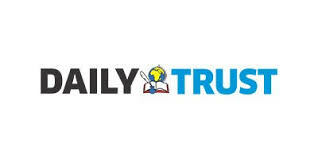 Daily Trust can't afford to lose its bottom line because of one column. I understand and support that. On my part, I can't afford to self-censor because of a company's bottom line. So the "divorce" serves both of us well. It is precisely this unsettling prospect that makes the signing of the peace accord by presidential candidates comical. The surest guarantor of peace isn’t an empty, symbolic peace accord; it’s a legally binding, institutional guarantee of a free, fair, and transparent electoral process, which the electoral bill that Buhari has rejected embodies. Buhari’s rejection of the bill is particularly intriguing because an analysis of the 2015 presidential election result that Buhari won by fewer than three million votes shows that he benefited from the absence of these electoral safeguards. According to TheCable of December 8, 2018, "At least 13.5 million Nigerians voted manually — without biometric accreditation — in the 2015 presidential election, according to data from the Independent and National Electoral Commission (INEC). “The data, obtained by DeepDive Intelligence, shows that President Muhammadu Buhari, then candidate of the All Progressives Congress (APC), won in nine of the 10 most-affected states…. Of the 31,746,490 accredited voters in the election, 13,536,311 — representing 42.6 percent of voters — voted without biometric accreditation. Out of this number, 10,184,720 votes are from states won by Buhari..."
This seems to be the most probable reason the president is scared of a truly fair and transparent electoral process. Insistence on biometric data for every voter will expose his phantom voters and frustrate his rigging plans. The five million voters Governor Abdullahi Ganduje of Kano promised him will not materialize if there is an insistence on a biometric corroboration of the identity of every voter. I thought the president and his supporters often brag that he is "popular" and unbeatable. If he truly is, why is he afraid of real, verifiable votes? As it stands now, it is entirely plausible that Atiku will win at least 45 percent of the Muslim north, which used to be Buhari’s exclusive political territory. Atiku’s Fulani and Muslim identity is a huge factor in diluting Buhari’s monopoly of this voting bloc. Recall that the late Umaru Musa Yar’adua had the same effect on Buhari’s near monopoly of the Muslim north. Buhari wins the vast majority of this bloc only when his opponent is a southern Christian. Atiku will, of course, win more than 70 percent of the southeast and the southern ethnic minority bloc. So it's obvious that 2019 would be a blowout for Atiku. That's why there's frenzied, transparent panic in Buhari land. The only option left for Buhari now is to rig himself back to power. That's precisely why he has refused to sign the electoral bill. His reason for not signing it is that, "any real or apparent changes to the rules this close to the elections may provide an opportunity for disruption and confusion in respect of which law governs the electoral process." That's such a blizzard of senseless verbiage that communicates nothing. It's a linguistic, communicative, and rhetorical fraud. Buhari knows he can no longer win a free and fair election, so he wants to go down with the nation by planning a massive nationwide rigging of the sort that he did in Osun and Ekiti. His openly partisan Chief of Army Staff, Tukur Buratai, who, along with other service chiefs, attended his reelection campaign rally, told the nation on November 28 that the Nigerian Army intends to “replicate the successes achieved” in the Osun and Ekiti elections, which is a polite way to signal that he will rig the election for Buhari in 2019. But Buhari is daring people who are more vicious than he is in electoral villainy. PDP and other parties are being put on notice to prepare for a rigging, not an electoral, contest in 2019. Buhari can't win that contest. The power brokers that matter in the nation are against him because they know his second term will literally kill the nation. The "international community" doesn't want him again because it can't afford the tragedy of a war-torn Nigeria, which a Buhari second term will surely precipitate. The next election may yet present the toughest test of our nationhood. These are humorless jokes, especially because Buhari has the unflattering distinction of being Nigeria’s president who has spent the most time abroad. In a September 16, 2017 column, I characterized this tendency as “Buhari’s obsessive compulsive runawayism.” Serious business of governance shouldn’t be trivialized with unamusing jokes, especially by someone whose ineptitude is dramatized by these jokes, whose incompetence is on steroids. 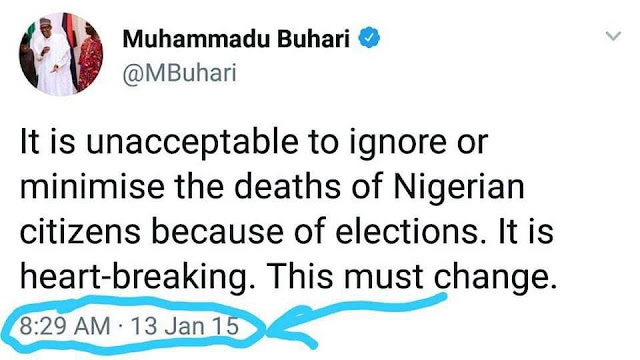 Buhari is also the first and only Nigerian president on record who has openly confessed to being disaffiliated from many of the signature policies of his own administration. For instance, he publicly disagreed with the devaluation of the naira. “How much benefit can we derive from this ruthless devaluation of the naira?” he told business leaders who paid him a visit at the Presidential Villa on June 27, 2016. “I'm not an economist neither a businessman - I fail to appreciate what is the economic explanation."